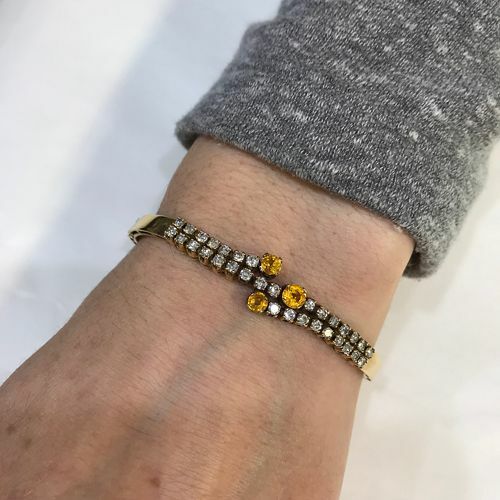 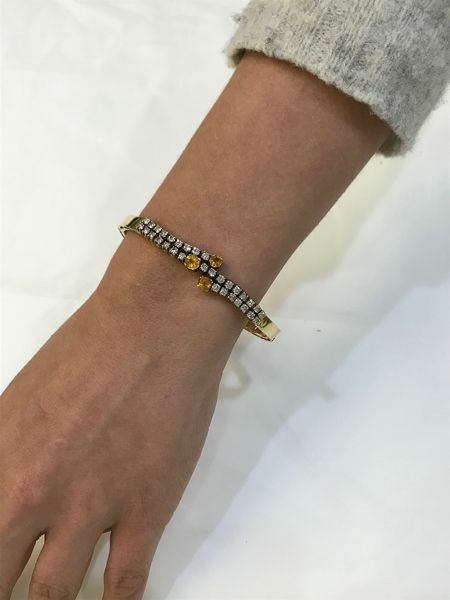 A beautiful vintage 14kt yellow gold bracelet featuring 3 round faceted cut medium intense yellow sapphires, est. 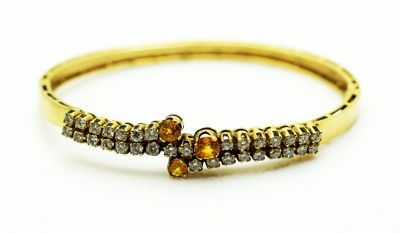 1.33ct and 32 round brilliant cut diamonds, est. 1.28ct (SI clarity & H-I-J colour).